Not only must the show go on, inevitably someone will upload an iPhone video of it on social media so you want to be prepared to do the best you can under trying circumstances. But… using the list below, you’ll still be able to rock your show… much better than you would have without it! Read on, take notes.. you can DO THIS! If you prepare ahead of time you can minimize the damage, even in worst case scenarios. Here’s a link to my Three Day Rule (from my Vocal Resource Library) for how to prep and get our voice functioning at it’s best even if you are compromised, as well as how to avoid further damage. Rule of thumb though, if it hurts (really hurts) when you swallow cancel your concert. This means an inflamed larynx and singing on top of that could cause further damage. 2. Consider Changing the Key or Re-routing the Melody. Ever notice how every once in a blue moon singers will re-route the melody? This is usually to avoid the high note on their song because they are sick. When you are sick you’ll lose your high notes, and it’s better to lower the key or reroute your melody line to accommodate your illness-challenged range! 3. Do you need to change your set list and leave out more difficult material? Always a smart option. Sting once pulled the electricity on an entire stadium so he didn’t have to sing the expected “Roxanne” at the end of his concert due to vocal issues. If he wasn’t such a purist he could have lowered the key a few steps and it would have been just fine without the drama ;). 4. What to say or not say on stage (making excuses). Never ever ever ever ever apologize or say you’re sick. It’s way cooler to just get through it and say nothing at all. Most people won’t even notice (even though you will.) Nothing is worse than a singer saying they have a cold. Remember a few years ago when George Michael sang for the first time in a gazillion years at the Grammy’s and he apologized for having a cold? It just comes across diva-ish. 5. Bringing something on stage with you to drink/soothe your throat. I always bring a thermos of Throat Coat tea if I’m sick. Soothes your throat, helps eliminate coughing. Also try Bronchial Soothe to eliminate coughing without the harsh chemicals in cough syrup (and the sugar…). Eliminate all talking prior to your performance to save your voice. You can even defer your stage patter to another band member to save your voice ;). Worth it. In my Singers Gift Warmups I teach singers how to gently massage (pull) the larynx downward eliminating extra wear and tear from coughing and helps to restore vocal health. 8. Warming up, cooling down. Don’t you dare perform without warming up when you are sick. The benefits of warming up (my techniques include a special Cool Down Warm Up to thin out the vocal cords which swell when you are sick) prior to performance to improve your vocal agility and prowess! 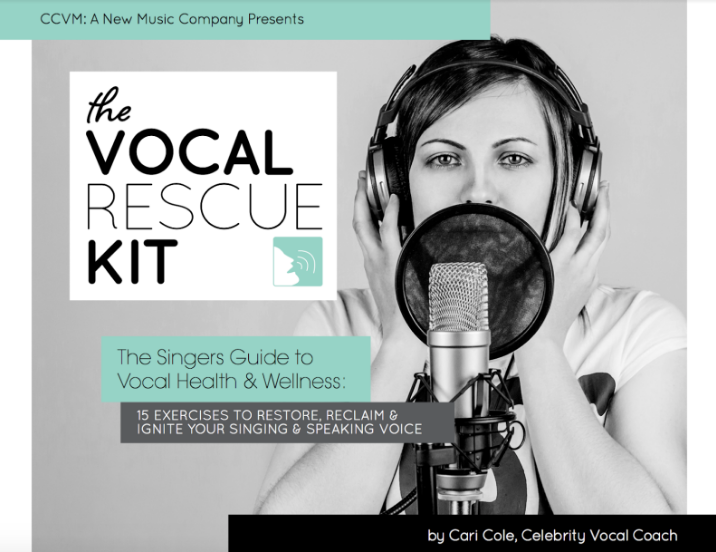 There are a whole host of singer products and ways to prep to get the most out of your voice when you are challenged by a respiratory illness. If you experience vocal loss or fatigue on a regular basis, your cords are swollen and you need to realign your vocal technique and get some vocal therapy. Singing on top of swollen cords will result in nodules and other vocal problems that can take months or even a year to recover from. Click here for my Three Day Rule for how to prepare 3 days prior to your performance.